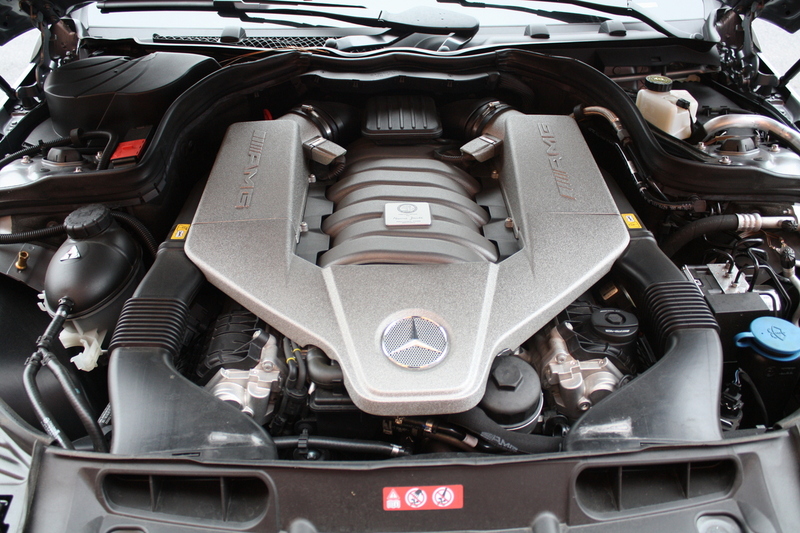 This little monster is among the last of Mercedes-Benz models to receive a naturally-aspirated AMG V8. New, turbocharged motors power everything from CLA-class to S-class AMG models, and a new 4.0-liter twin-turbo makes up to 503 horsepower in the Mercedes-AMG GT sports car. The broad switch to turbocharged engines for the AMG lineup just makes this 2014 Mercedes-Benz C63 AMG Coupe Edition 507 a bit more special. I don’t mean to knock turbocharging. In so many applications, like diesel and small gas engines, turbos increase power and efficiency. That’s certainly the aim for Mercedes-Benz and AMG, too, but the change is less welcome in the high-performance segment that cars like the C63 AMG occupy. Naturally-aspirated engines are just so satisfying, immediately responsive and linear in their power delivery. This car demonstrates those attributes I fear I may miss in newer AMG models. 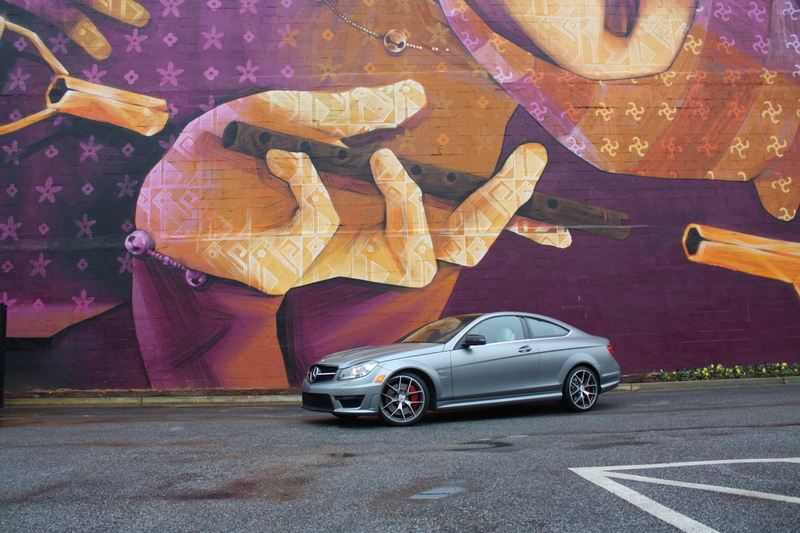 The special Edition 507 comes at the end of a C-class generation. A newly designed C-class is already available, and new versions of the C63 – now using the 4.0-liter engine – arrives in March 2015. Often, an outgoing car feels instantly dated when its replacement shows up. That may be true for mainstream C-class models, but this car seems more like an instant classic, a near-perfect blend of refinement and raw power. Edition 507 brings a long list of upgrades, a more powerful engine key among them. 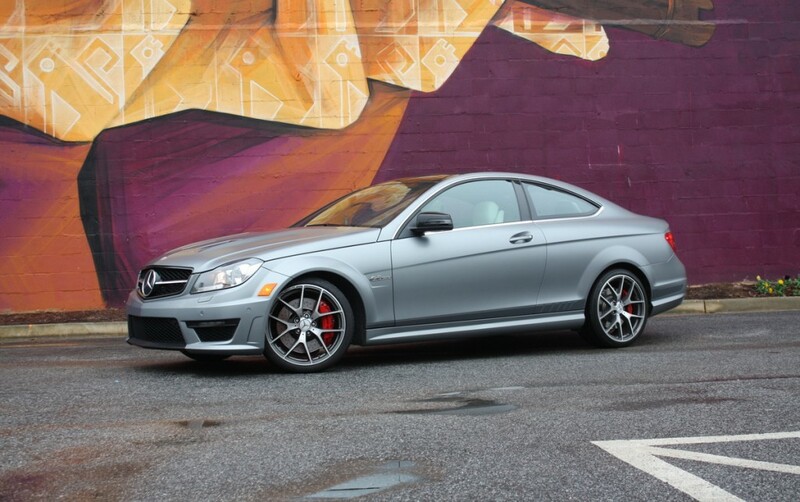 The 6208-cc V8 makes 507 horsepower, 56 more than the standard C63, and 450 lb-ft torque. 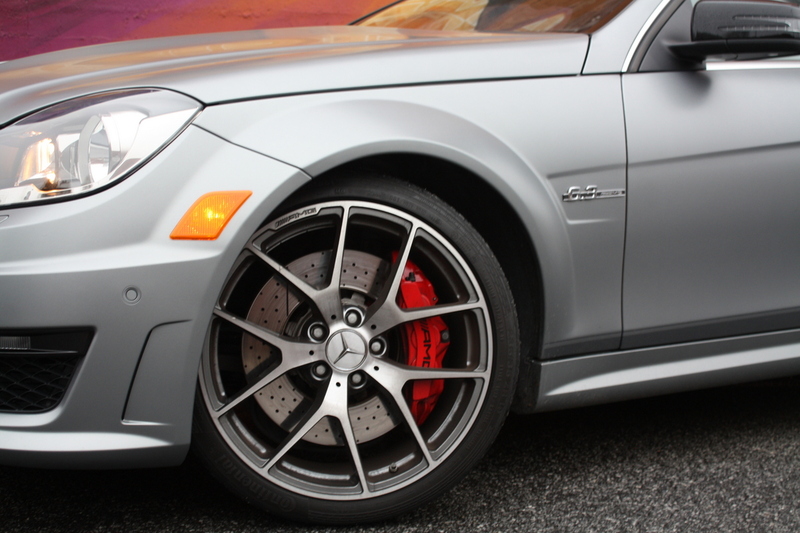 Buyers also get an excellent AMG performance braking kit, special 19-inch wheels, an aluminum hood with functional heat vents and several exclusive interior and exterior design details. The test car also includes an optional matte paint scheme reserved for the Edition 507. Even with high expectations, driving the car is an absolute thrill. Superb seats feel snug and supportive, and the thick, Alcantara-wrapped steering wheel is delightfully race car-like. Twist the key – no, it’s not push-button – and the sound of the V8 instantly reveals this car’s intentions. It wants to go fast, and it does so with a blend of ferocity and grace. The seven-speed multi-clutch transmission rips through gears automatically – or through inputs from precise, metallic paddles for manual shifts – keeping the V8 revving high and hurling the C63 forward. In a straight line, it’s a rocket. It’s agile in the curves, too, although the rear wheels are easily overpowered when traction control is reduced. The ride is firm, and the chassis feels rock-solid. Cars in the $90,000 price range are not typically terrible. They can be disappointing, though. This one exceeds high expectations, something I cannot yet say about the next-gen C63. Perhaps the turbocharged car will be even better. I’d take the sure bet, though, and choose one of the last of the so-called 6.3s.